Earlier this month CNN released a list of who it considered to be the most inspiring leading women of 2014. It was an impressive list of highly accomplished people who have done incredible things such as being launched into space, fighting for Democracy and providing humanitarian aid. We may not stop to think about it often, but we are surrounded by inspiring women who through their example cause us to strive for more, work harder, be our best selves. Our inspiration may be someone close to us, a mother, a sister, a coach or a mentor. It could be someone who has pushed herself beyond her perceived limitation demonstrating what’s possible or someone who has broken barriers and paved the way for the rest of us. In taking the time to recognize who these people are, we can to an extent define and quantify their influence on our lives and magnify the impact that they have on us. For me, it’s not so much a specific individual but rather those women who are not only working but also raising children. I’m not a mother, but I work full time and I know how difficult it is to get everything done in a day without adding the needs of extra little people. Working moms add layers upon layers of complexity and manage an astonishingly intricate balancing act with apparent ease. I am in awe of their ability to switch seamlessly from one topic to another, from corporate balance sheets to allowances, from business luncheons to family dinners. One minute they’re making decisions about marketing efforts and the next they’re figuring out play dates. Although it’s difficult, they find ways to be more efficient and work smarter. So often, they do it all without thinking twice about it. They’ve become so accustomed to make adjustments that they don’t even realize how much extra effort they put into getting through a day. They may feel that there aren’t enough hours in the day, they may feel stressed and they may struggle with guilt, but they persevere. They care for patients, grow companies, and make scientific advances along with raising well-adjusted children. These are the women who make me want to be better and do more. They show me that it’s possible. I have these women in mind as I push for changes in how health care is delivered to women. I want a system that works better for all of us and a big part of that is having a system that supports these working moms in their additional challenges, making it easier for them to take care of themselves. Who inspires you? What difference have they made in your life? We’re looking forward to sharing your stories. 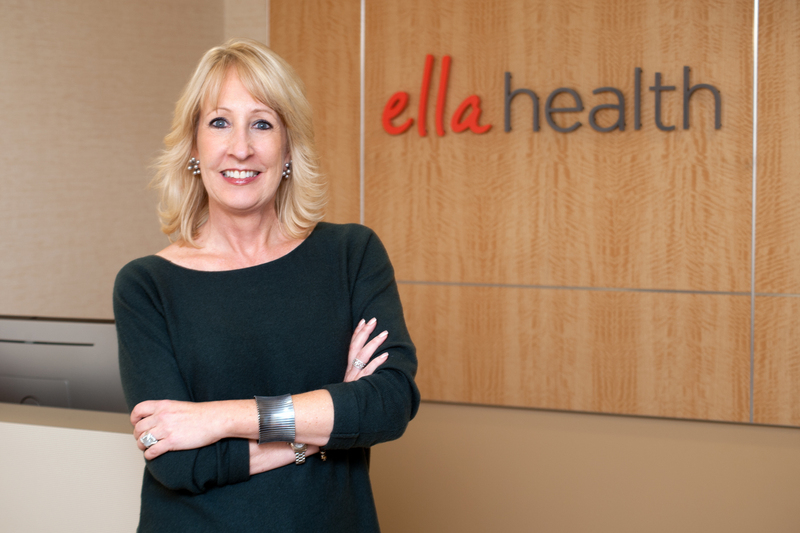 Ella Health is recognizing and honoring inspiring women. Share your stories on Facebook or Twitter with #inspiringwomen, or send them to ella@ellahealth.com to be featured on the blog. Thanks Melissa. My husband Greg and I have a 10 year old daughter. We both work, and we also own a small organic mustard business. I am in awe of many friends that work, have more than one child, and don’t have strong support systems like nearby family. I am forever and daily grateful for having a mother in law living downstairs from us, happily being nanny, carpooler, tutor, part-time parent and periodic miracle worker. She inspires me. She’s already raised a family and now she helps us with ours. I am also inspired by the single moms working two jobs and getting kids to and from school and eventually off to college. I’m inspired by the women that find the inspiration and energy to start their own businesses, while running a household. Just this morning I read the article in Newsweek, “What Silicon Valley Thinks of Women.” I was riveted and horrified knowing all too well that the stories told, are true. I’m inspired by the women working in the valley and succeeding, and trying again and again, until they succeed. May they be known to us personally, or inspire us from afar, here’s to women – who all work!